This up-scale restaurant in the embassy district is synonymous for style, luxury, and most of all taste. The interior has a strong Scandinavian feel with warm woods and stock walls. Sophisticated food is delicate, as is the background smooth jazz and light classical music. 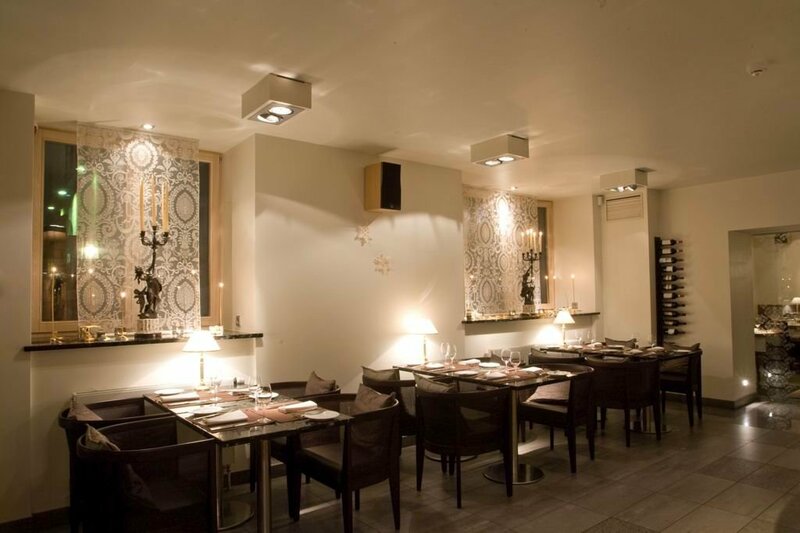 La Boheme has followed the trend of many European restaurants, now featuring a private room for cigar smokers. Finally, Riga has another upscale restaurant to cheer about. The newly opened La Boheme located across the street from the British Embassy is a warm welcome for the gourmet diner. As you enter through the frosted-glass doors and step into the foyer you will see a delicately placed menu on a music stand – a bold statement that says their menu reads like a symphony of tastes. The restaurant La Boheme takes its name from Puccini's most famous and popular operas. but don’t expect this place to be as stuffy as your grandmothers record collection. La Boheme strives for style, luxury, life and most of all taste. The interior has a calming effect with plenty of light for a basement location, infact you won’t even know you have taken a step down due to the large windows above. The interior has a strong Scandinavian feel with warm woods and stocko walls. The theme is not limited to opera by no means on our visit we heard Shade’s sweet calming music coming out of the unobtrusive speakers and a few framed jazz posters adorning the walls. The black table cloths are also a welcoming sight from the stringent white soften seen at upscale restaurants. La Boheme is not only for formal dining they have a separate café menu for those who want a quick lunch or something a little lighter.